Jreffrey Dahmer killed 17 young man, dismembered and dissolved their bodies. 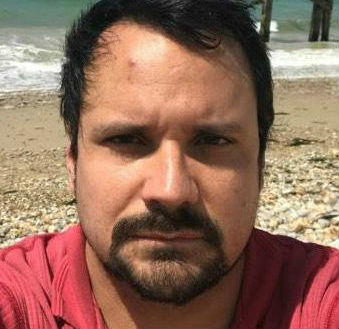 He is the most prolific gay serial killer in history, and he also practised necrophilia and cannibalism with some of his victims. This is not the type of friendship you would boast about. Yet John “Derf” Backderf wrote a graphic novel about his amicable relationship to Dahmer during their teenage years. And now the graphic novel has bee turned into the film My Friend Dahmer. Obviously, this is not a feel-good movie. It’s a study of a very disturbed mind and what drove Dahmer to his horrific deeds. Yet it’s not a graphic film. Dahmer hadn’t started killing people then. Instead the movie focuses on his strange personality, his sexual attraction to men and his growing fascination with cutting animals open during his late adolescence. At that stage, such obsession was limited to non-humans: a dead cat, a possum, mostly roadkill. Dahmer was still honing his morbid skills, and the movie ends just before he claims his first victim. 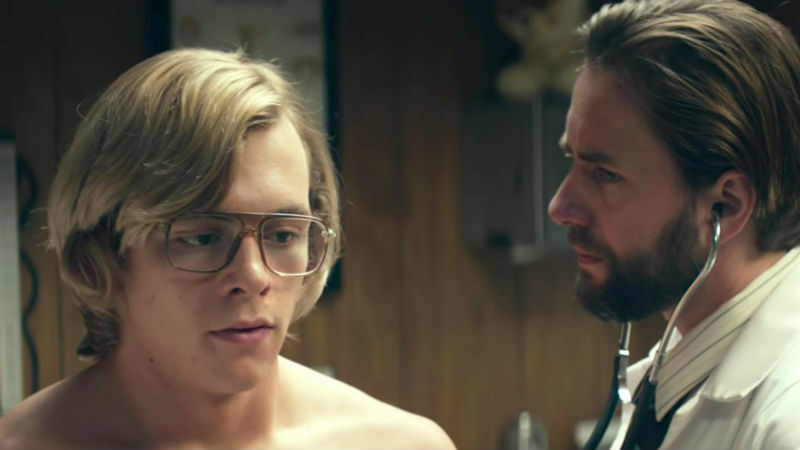 Ross Lynch, previously known for various roles on the Disney Channel, does a terrific job as Dahmer in high school in the 1970s. Derf was concerned that Lynch’s familiar face would make viewers uncomfortable, but I don’t think the audience of My Friend Dahmer will overlap enormously with the Disney Channel. Obviously this is not a movie for children, it’s not light entertainment. Dahmer finds enjoyment in throwing fits and “spasming” around, in a way very similar to the “spassing” of the characters in Lars von Trier’s The Idiots (1998). Of course people around him are not having fun; instead they are freaked out. Dahmer antics are definitely not entertainment for the Disney Channel. Derf (Alex Wolff) and his small group, unlike other students, actively spur Dahmer’s morbid demeanour. The good-looking yet socially inept Dahmer is delighted to gain acceptance in this small circle in exchange for delivering the bizarre performances. Derf et al develop some sort of friendly affection for the strange man, yet they remain very uncomfortable with his animal experiments. The blond and bespectacled teen is mysterious and ambiguous. His motives for killing are never entirely clear, apart from an inherent curiosity “to see the insides” of living creatures (as he puts it). All we know is that his behaviour was symptomatic of something far more dangerous yet to come. The movie does not propose that oppressed homosexuality and bullying are triggers for serial killing sprees. It would be absurd to do so. If that was the case, the world be indeed a very dangerous place with mass murderers in just about every corner. It does not propose that his family are the cause, either. His mother and father are portrayed as a little clownish, but not far more than the average traditional family. Meyers does not provide answers. 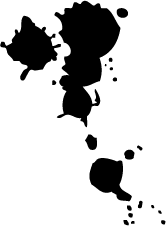 Instead he exposes the fragmented pieces of a very disjointed mind. My Friend Dahmer is showed the 61st BFI London Film Festival in 2017, when this piece was originally written. It’s out in cinemas across the UK on Friday, June 1st, and then available for digital streaming on Monday, June 4th.